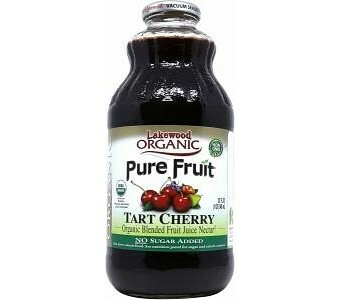 There is 1 kg of fruit in every bottle of Lakewood Tart Cherry Blend. 100% Juice Blend Great Source of Natural Anti-Oxidant Vitamins A & C Full of Valuable Micro-Nutrients and Anti-Oxidants Promotes Relaxation and Healthy Sleep Patterns Maintains Normal Cholesterol Levels and Assists Urinary Tract Health Strengthenes the Immune System for Overall Well-being and Vitality Aids in the Restoration of Vital Body Electrolytes and Supports Metabolism Micro-Nutrients (Organic Rose Hips & Organic Grape Seed) added for Maximum Nutrition Eight servings of fruit in every bottle. Lakewood Juices are freshly pressed, bottled and vacuum sealed in certified organic facilities.